Tales Of Velosia | An untold lore. A coveted magic. The struggle to survive, no matter the cost. An untold lore. A coveted magic. The struggle to survive, no matter the cost. I found Julay ensconced within her old quarters at Gossah’s Pleasure Emporium. She was sprawled across the bed, her face buried within the pillows. Silent sobs wracked her entire body. Approaching the bed with care, I pressed a hand against her left shoulder to gain her attention. She whirled about to face me, her cheeks streaked heavily with tears. “What do you want?” she snarled, her violet eyes cold and unyielding. Bursting through the inn’s doors, I scanned the room in the hopes of finding Julay ensconced within its very corners. Sadly, she’s nowhere to be found. Several men from my contingent stopped me along the way as I skirted the wooden tables in search of her. Ignoring their drunken queries, I shoved the door leading to the kitchen open and came across a very irate Rajah. The look he gave me said it all. “What brin’s ye here?” he spat out, slamming a dirtied pot across the counter’s surface. For days, I pondered the significance of the stone Giarrah had given me. Yet I could not fathom as to what I was meant to do with it. I’d taken it to Kimbar, hoping he’d be able to shed some light on its purpose. Unfortunately, he was just as clueless as I was. In the days that followed, I did my best to ignore the changes occurring all around me. The Spider Queen’s army now sat on the outskirts of our borders awaiting her commands as to what to do next. While things were not as chaotic as they’d been several days ago, we waited with bated breath for what was yet to come. Much to my dismay, Daeanyara was still here within the castle. Her father had sent word she was to remain here until further notice. I wondered briefly if he was aware of the fact that she’d been brought here against her wishes to begin with. Still, such things weren’t of my concern and I was determined to do my best to stay out of her way as much as possible. I awoke to find myself completely shrouded in darkness. For a moment, I thought I was back within my weird dream. Yet something told me I was not. Rising carefully, I stretched my cramped muscles and gazed about the room. My eyes adjusted and I could make out every item within the room in vivid detail. 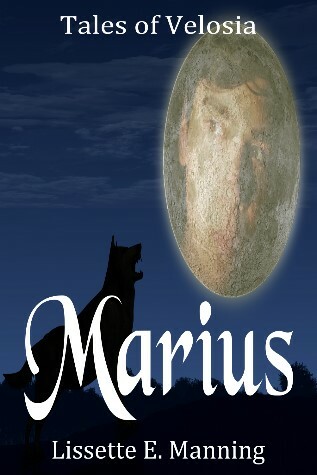 Merging with the wolf had given me several unique abilities and this enhanced night vision appeared to be one of them.